Fatigue, trouble standing, limping—all these are signs your dog has joint pain. Dogs of all ages suffer from the effects of this chronic condition, and it’s enough to seriously lower overall quality of life. There’s no guaranteed cure to osteoarthritis in dogs, but dog owners resort to a number of treatments to bring relief to their beloved pets. Typical methods include surgery, steroid injections, and regular pain medication, but there’s a new player changing the game. CBD oil is gaining popularity in the world of holistic veterinary science as a safe and effective alternative medicine.3 It’s used as a pain reliever and calming aid, and dog owners are experiencing particularity positive results with using it to treat canine joint pain. In July of 2018 a Study by Cornell University showed that CBD Oil administered twice daily at 2 mg/kg of dog weight can help relieve pain and increase mobility. Most important, CBD comes without the negative side effects of other more conventional treatments, including pain relieving drugs such as NSAIDS. Here’s why it’s catching people’s attention. What is CBD Oil From Hemp? As a form of cannabis, hemp contains dozens of compounds called cannabinoids. Of those compounds, there’s a type called CBD. Therapeutic, non-psychoactive, and all-natural CBD is extracted from hemp and isolated to create the tincture commonly known as CBD oil.3 While cannabis has been used for medicinal purposes for thousands of years, CBD oil is only recently catching the public’s attention. Unlike medicinal marijuana, CBD oil contains only negligible amounts THC and cannot produce a high.1 It has all the therapeutic benefits of marijuana but without the mind-altering characteristics. As holistic vets explore more about CBD and scientists continue to study its effects in the lab, we’re learning how effective it can be in treating a long list of both human and canine ailments. Every mammal has an endocannabinoid system responsible for maintaining the body’s healthy balance.4 A network of cannabinoid receptors facilitate communication throughout the body to control health and promote healing. As a type of cannabinoid, CBD oil works by stimulating these receptors and triggering specific bodily responses. The two-way communication between receptors controls immune response, and CBD oil is an all-natural way to steer health and maintain the perfect balance. So, what does CBD oil and the endocannabinoid system have to do with a dog’s joint pain? Dogs experience different kinds of joint pain including that which is associated with hip and elbow dysplasia. The most common type, however, is caused by a long-term deterioration of cartilage.2 This is called osteoarthritis. Cartilage is a sponge-like tissue found in the joints. Its purpose is to be a cushion that separates the bones and keeps them from rubbing together. 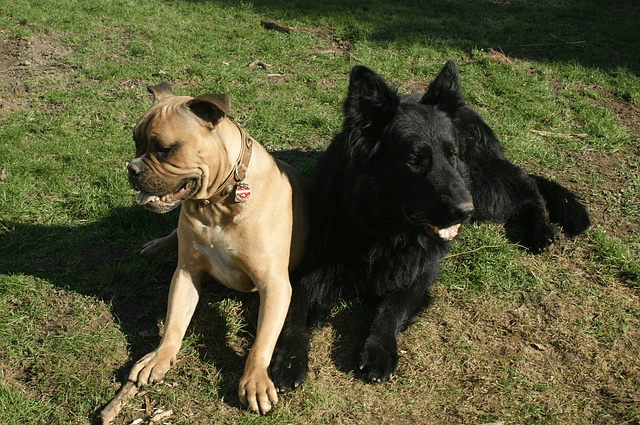 As dogs age, cartilage can weaken. When this happens, the joint becomes inflamed and the bones rub against each other. As a natural pain reliever with known anti-inflammatory properties, CBD oil fights joint pain to bring dogs much-needed relief. It works by utilizing the endocannabinoid system to restrict the transmission of pain signals to the brain. 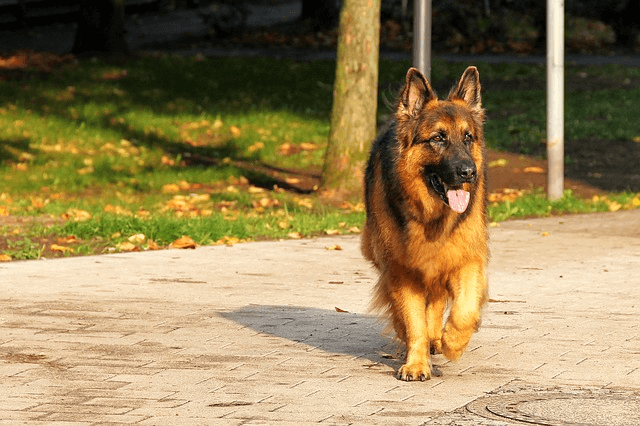 It also targets the affected joints to reduce inflammation.1 The dog will still have the underlying cause, but with no dangerous side effects, they’re free of pain and able to run and jump without painful joints holding them back. 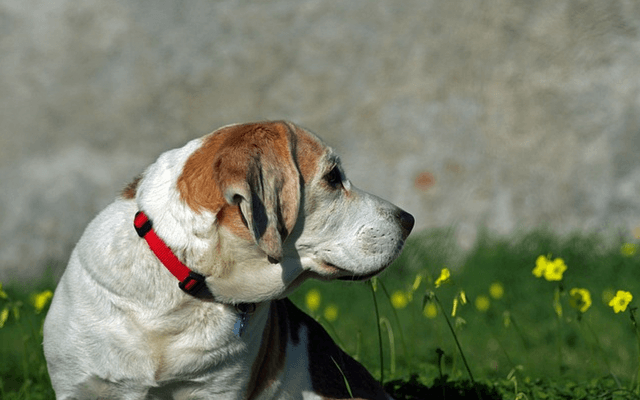 No dog owner wants to watch their aging pet slow down due to painful joints. Surgery is expensive and comes with long recovery, steroids have side effects, and helping a dog lose weight is not a guaranteed way to bring them relief. With few satisfactory treatment options, CBD oil is offering dog owners an all-natural and effective alternative. The extremely low levels of THC aren’t enough to make a dog high, and with no related toxicity, overdosing on CBD oil from hemp is impossible. It’s legal in all 50 states, and dog owners are sharing testimonies of seeing noticeable results in their dogs’ quality of life after administering only a few drops. What Brand of CBD Oil is Both Safe and Effective for My Dog? When choosing a CBD oil, we strongly recommend choosing a product that is 100% THC free, which is a bit hard to find because the process is expensive. 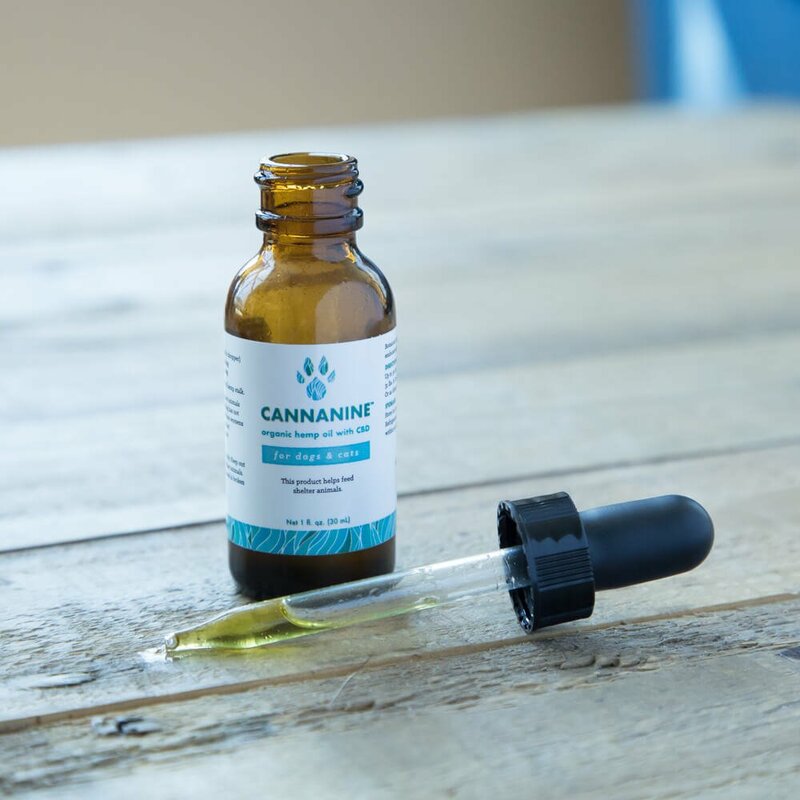 The brand that iHeartDogs recommends and offers in our store is Cannanine™ Organic Hemp Oil with CBD. If you’d like to learn more about CBD for dogs, we’d encourage you to view our comprehensive guide.